We heart buying shirts from the boy section….dress shirts, t-shirts, sweatshirts…we have them all. Some little boy’s nightmare becomes our treasure. I was in the mood to wear this skirt, but wasn’t exactly sure how I wanted to style it. First I threw on a black and white plaid shirt + a sweater. That didn’t work so well. Made me look like I was carrying some extra weight in the midsection, and I really don’t have any time for speculations about a [nonexistent] tiny human growing inside me. I then tried it with a black, purple, and silver sequin top, but for the shape of the top didn’t work well with the skirt. I finally settled for pairing this boys (size 14) pale yellow button down shirt with the skirt. 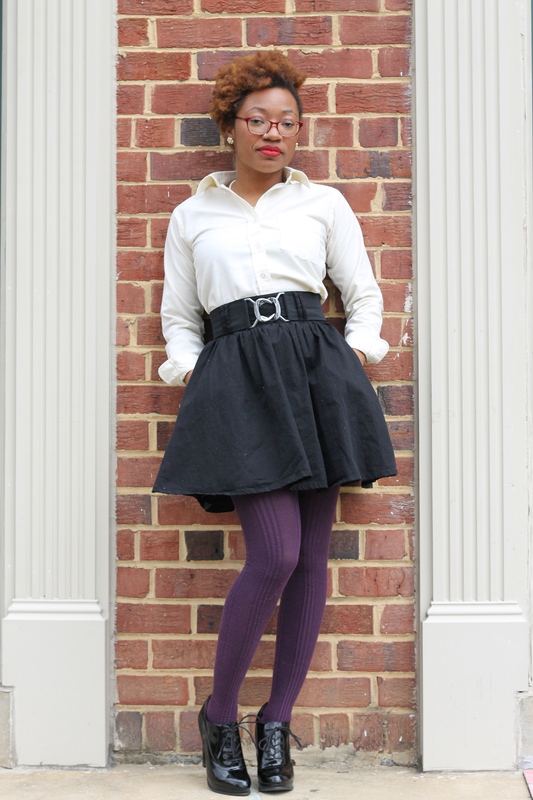 I am not really a button down and skirt kind of girl, but I really heart this combination! So, I decided on a top….now there was one more tough decision: what color tights? I started with green, and thought they looked a little too putrid with the yellow. Then I moved on to blue and wasn’t feeling that. I settled on a dark purple pair to contrast the pale shirt. 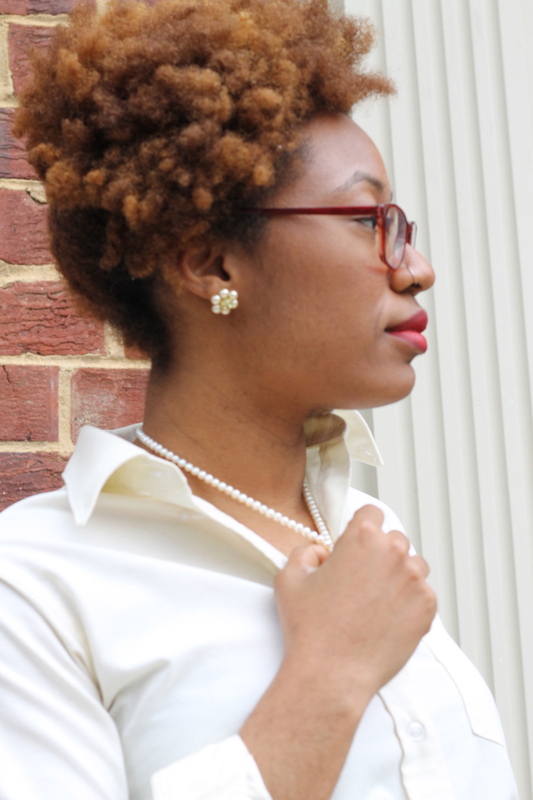 Threw on a pair of pearls, earrings, the best booties ever , and some Ruby Woo lipstick……gave myself a look in the mirror, and thought, girl you betta weeerrrrkkk! Next time you go to the thrift store, check out the boys and/or men section–especially if you’re a girl who finds herself in this-doesn’t-fit-me-quite-right shirts far too often. Categories: Outfit of the Day, Styling, Uncategorized | Tags: collar shirts, little boys shirts, outfit of the day, skirts, style notes, styling, what reese wore | Permalink.